Apex Legends was the good news EA needed to balance a third quarter shortfall that sent the already depressed stock price off a cliff. CEO Andrew Wilson and CFO Blake Jorgensen were straightforward in comments about what went wrong during EA’s holiday 2018 quarter that had the company miss its targets. EA fell short of guidance on net revenue by $86 million, coming in at $1.29 billion. Digital net bookings were down 3 percent for the quarter year-over-year, with recurrent spending essentially flat, mobile down 22 percent, and full-title sales up a modest 5 percent. 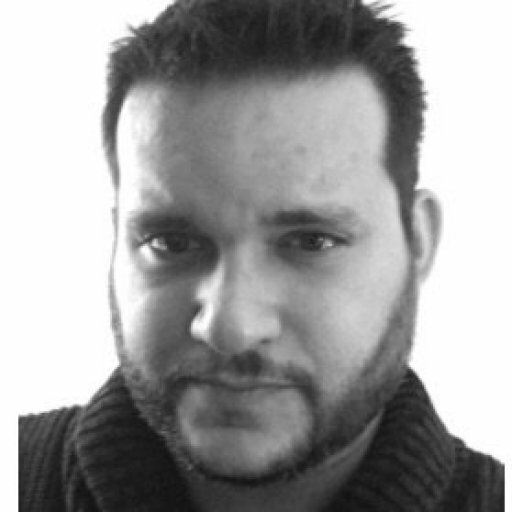 Wilson said that the decision to move Battlefield Vto a November release (away from its typical mid-October launch window) was the right decision for the game, but a major contributor to soft sales. That time frame not only put DICE’s World War II shooter behind Red Dead Redemption 2, but also put Battlefield V closer to Black Friday and deep discounts on games that had be released earlier in the holiday season. EA was also anticipating that Battlefield V would drive more Origin Access Premiere subscriptions than it did. The premiere tier includes EA’s back catalog vault and new games the publisher releases, including Battlefield V, Madden 2019, and Anthem. 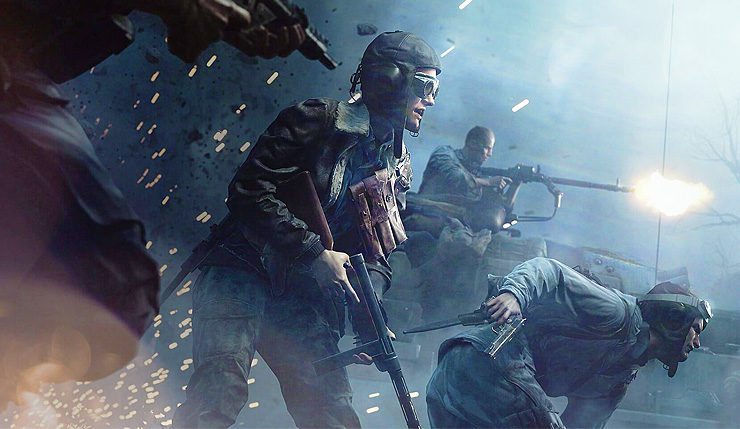 The publisher is hopeful that Battlefield V will see new player acquisitions with the release of the Firestorm battle royale mode in March. However, the release of Apex Legends, a free-to-play battle royale game, will likely have a muting effect. EA is also planning to release a new Need for Speed game and another Plants vs. Zombies shooter in fiscal year 2020. These will complement the publisher’s regular slate of sports releases. On the call, Wilson and Jorgensen were asked about Titanfall 2 and Battlefield V’s weak performance. Wilson pinned part of the shortfalls on both titles on EA’s marketing and advertising. EA has also been struggling on the mobile front. Command and Conquer Rivals, announced at E3 2018 to tepid core consumer response, has failed to live up to expectations. Organic installs are not living up to EA’s targets, and the publisher has indicated it is working to bring more players to the game. 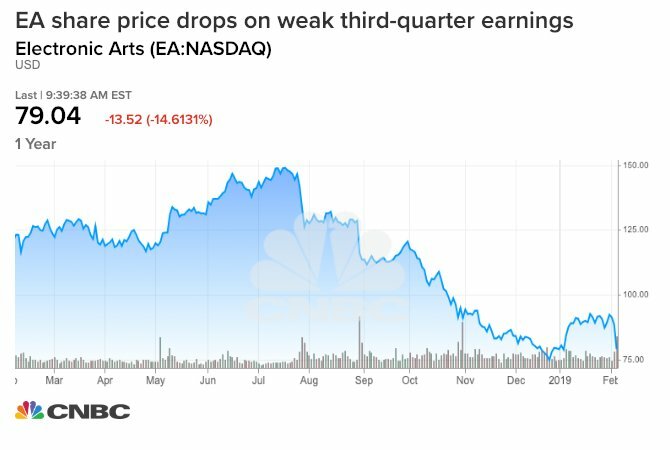 EA stock is down 14.6 percent at the market open, and has dropped precipitously from a trailing 12-month high of $151.26 to $79.04 at the time of publication. The company has lowered fourth quarter guidance due to Battlefield V, weak mobile performance, and Origin Access underperformance. The publisher suggests that Apex Legends and Anthem are the keys to closing the year strong. The latter is expected to move between five and six million units in the first six weeks. Both Anthem and Battlefield V have eschewed the traditional season pass model, opting for a pure live service approach driven by recurrent currency purchases. EA does not appear to be confident in the earning potential for either. “We have modest expectations for Battlefield and Anthem live services, given that they are not yet proven,” Jorgensen said. EA continues to show strength in its core sports franchises, including Ultimate Team recurrent spending. The Sims 4, which grew by 4.8 million players last year, will receive approximately 20 new content packs and expansions in FY20. Where EA is stumbling recently is in its non-sports, core audience studios. The critical panning of Mass Effect Andromeda, the recent rescope on the EA Vancouver Star Wars project, and the soft launch of Battlefield V show EA to be in transition. With Apex Legends off to a strong start and Anthem’s potential to deliver a hit in the closing quarter of the fiscal year, EA could be setting itself up for a strong FY20. If either of those fail to deliver consistent and prolonged revenue though, EA will have some hard questions to answer from investors.